Although most automotive enthusiasts could probably care less about the upcoming sci-fi/ teen love story film The Host, its latest trailer features a certain upscale sports car that is worth a look. Based on a novel by Stephenie Meyer (Twilight), The Host tells the story of a parasitic alien race called “Souls” that have invaded Earth and have begun to possess the minds of the human race. The trailer is mostly void of details, but it appears that the aliens prefer to travel in chrome vehicles, in particular a chrome Lotus Evora. In fact, the trailer showcases a pair of chrome Evora cars and a chrome helicopter in an impressive highway chase scene. One Lotus Evora sports coupe is scene skidding across the freeway whilst dodging bullets. 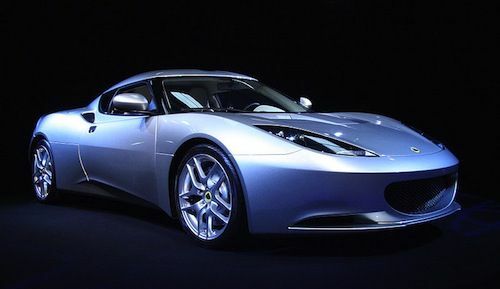 The Evora’s role in The Host marks the first time the luxury sports car has been featured in a major motion picture. The Evora did, however, make a memorable appearance in the 2010 British short film The Commuter, which starred Dev Patel (Slumdog Millionaire). Aside from film, the Evora has appeared in countless television shows including House of Lies, Chuck, Desperate Housewives, Switched at Birth and two episodes of Californication. The Lotus Evora is a sports car manufactured by the British car company Lotus. Originally known as “Project Eagle,” the Evora was launched at the British International Motor Show in July 2008. The Evora touts a mid-mounted 3.5-liter DOHC V6 VVT-I engine and a six-speed Aisin transmission. The vehicle possessed a top speed of 162 mph and can go from 0-60 mph in just 4.9 seconds. Furthermore, the Evora boasts a modular lightweight bonded aluminum body; Lotus tuned hydraulically assisted power steering and forged aluminum double wishbone suspension. According to Lotus, the Evora is available in 20 exterior colors including several grey and silver options, but the silver chrome vehicle in the movie trailer appears to be custom. Chrome luxury sports cars have been all the rage lately amongst Hollywood’s elite. Most notably, pop star Justin Bieber chromed-out his Fisker Karma in April after receiving it as a birthday gift in March. Rapper Flo Rida also recently added chrome plating to his Bugatti Veyron touring sports cars. Lastly, reality star Scott Disick also previously owned a chrome Audi R8, which he sold on Ebay in June. Check out the trailer for The Host below and look for the film when it hits theaters on March 29, 2013.